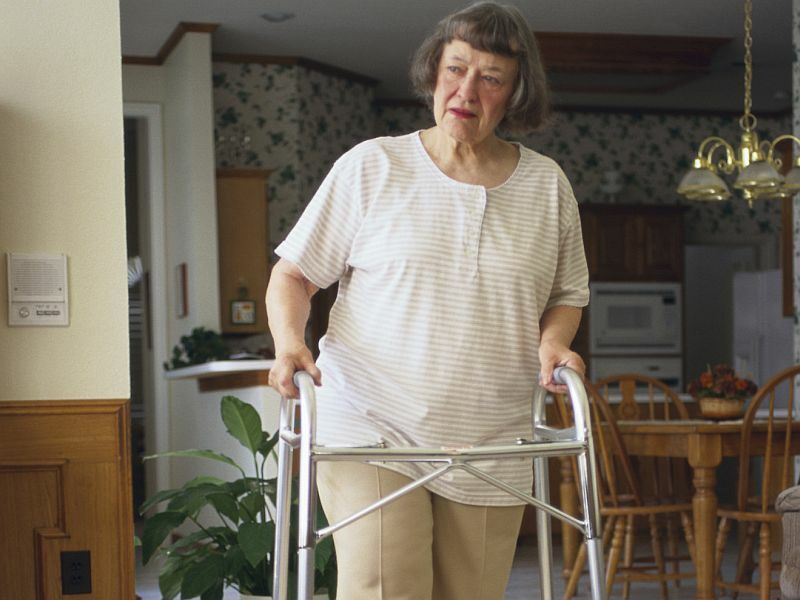 MONDAY, Feb. 27, 2017 (HealthDay News) -- Older people who suffer a hip fracture face a much higher risk of death soon after the injury, but the risk persists over the longer term, a large study indicates. The new findings are similar to those of previous studies on hip fracture, said study lead author Michail Katsoulis. He's a medical statistician with the Hellenic Health Foundation in Athens, Greece. Katsoulis noted that "post-operative complications, such as cardiac and pulmonary ones, have been mostly implicated for the excess short-term mortality after the fracture, that is within the first year after." Those complications included both blood clots and pneumonia. The study can't definitively show a cause-and-effect relationship. But Katsoulis suspects that older hip fracture patients "are unlikely to remain physically active and more likely to experience functional decline and disability." It's also possible that chronic inflammation develops after a fracture, which could contribute to persistent frailty, the researchers suggested. People with a chronic disease -- such as heart disease, cancer or diabetes -- at the time of their hip fracture faced the highest overall death risk, the findings showed. "For example, people should avoid smoking and high alcohol consumption, be physically active and follow a varied diet rich in calcium and vitamin D, as well as fruits and vegetables," he said. "It is also important to provide better health care services to those older individuals that have already experienced a fracture, to give them the opportunity to walk again as soon as possible so that we can provide them better quality of life and survival," Katsoulis said. Dr. Robert Recker, president of the National Osteoporosis Foundation, said the review's findings weren't surprising. He cited the "sadly neglected disease" of osteoporosis as the principal cause.